A Neiman Marcus gift card purchased at a discounted price will provide you with far more fashion for the money. Whether you’re shopping men, women or kids, you will save money on your entire purchase. And because gift cards are a form of currency, you can also buy sales items and store promotions. If you love looking incredible, then this card is for you. Get yours today and save money on stylish clothing, shoes, and more for the entire family! Founded in 1907, this is a go-to place for all things high fashion. They offer top quality clothing, furniture, footwear, jewelry, beauty products, housewares and more. And now, when you use a discounted Neiman Marcus gift card, your dollar will stretch farther than ever before. For women, they carry everything from jeans, rompers, and activewear to gowns, cocktail dresses, and furs. But that’s not all! They offer some of the most fashionable merchandise for the entire family and even the home! And just think, fantastic savings are only one small click away! If you are a footwear enthusiast, then you will just love the shoes and boots you can buy with a Neiman Marcus gift card. And the best part is- you will save money on everything you purchase! Buy yours today and stop in any of their 42 locations to experience shopping at its finest, for less money! And don’t forget, they offer a wedding registry as well as plenty of gift items for the loved ones in your life. Fortunately, you don’t have to pay full price for the high fashion you love. 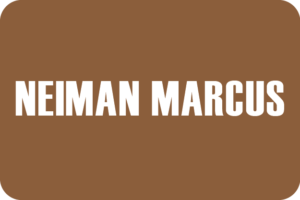 Purchase a discounted Neiman Marcus gift card today and save money on your next shopping spree. But fantastic savings don’t have to end there. Cards2Cash offers gift cards for many other outstanding department stores! Why pay full price when you can buy the same merchandise for a fraction of the cost? Check out our listings for Saks Fifth Avenue, Nordstrom, Bloomingdales, White House Black Market, and more! With Cards2Cash on your side, you can save more money than you ever have before on the fashions you love! If you have a Neiman Marcus gift card you aren’t going to use, then why not sell it? Cards2Cash buys a variety of gift cards for many famous department stores and retailers! And the great news is, we pay a high percentage price for them! If interested, stop in one of our retail locations and we will pay you cash right on the spot, OR just fill out our online form and we’ll get back to you promptly with an offer! Cards2Cash is your gift card connection!